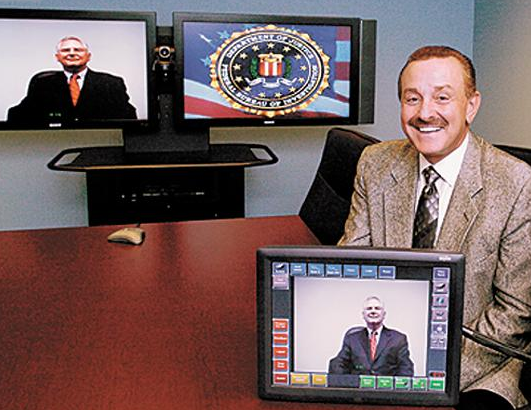 Louisville, Ky. (May 21, 2014) — The Federal Bureau of Investigation (FBI) has renewed its contract with Louisville-based Trinity Video Communications to provide support and maintenance for the FBI’s Secure Video-Teleconferencing System (SVTC). From Command and Control Centers to Executive Conference Rooms, Secure Work Environments and training rooms, Trinity Video Communications is becoming a national leader in the industry and has perfected the science of Audio-Video Integration through partnerships, software development and investment in a highly-skilled, expert staff. Trinity Video Communications provides video, audio and other communications options for commercial, healthcare, legal and law enforcement, education and government applications. Trinity is headquartered in Louisville, KY, with additional offices in Cincinnati, Ohio and Sterling, Virginia. Trinity has a number of government contracts and holds a GSA Schedule 70, with 75% of its employees holding Top Secret clearance. Trinity Video Communications specializes in secure, mobile applications, linking any device, any time, anywhere.